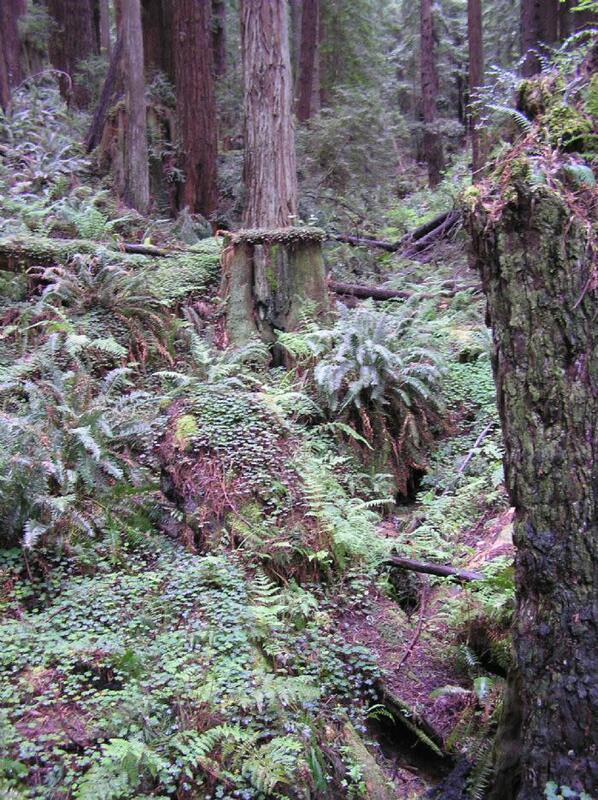 A redwood forest just blocks from downtown Arcata. 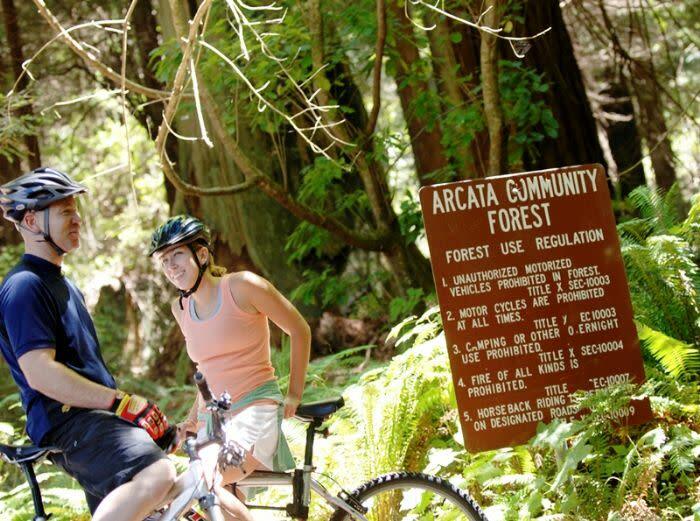 Arcata's Community Forest is comprised of approximately 790 acres of woodland recreation, with an exceptional network of developed trails for hiking, mountain biking and horseback riding (check the trail maps to determine which trails are open to bikes and horses). Trail Maps are available at the parking lots. A number of bridges, stairways and corduroy roads allow the trails to cross steep ravines and traverse forested hillsides. 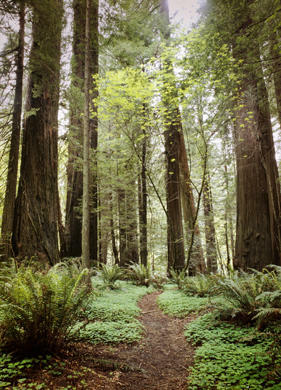 Elevations range from 250 feet at Redwood Park to 1010 feet at the eastern most boundary near the Long Loop Trail #17. This intensively managed forest, combined with developed trails, has an overall effect of a magical, manicured parkland. 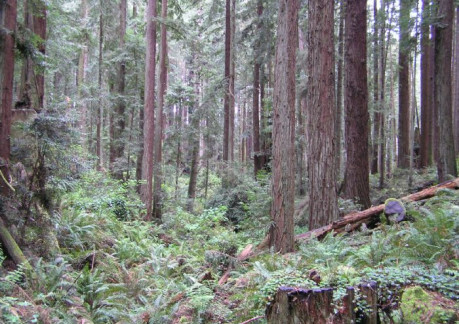 Redwood Park is adjacent to the Community Forest and offers trail access into the forest. The Park has a playground, picnic areas and restrooms as well as public meeting spaces. 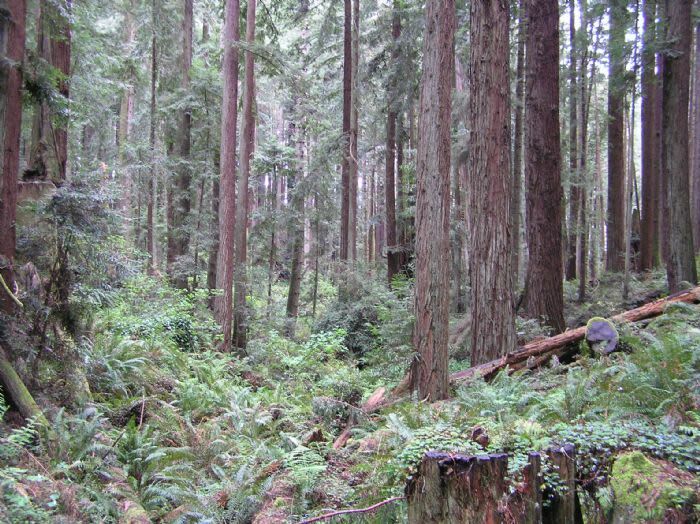 The Forest Guild, a national organization of professional foresters has declared: The City of Arcata's combined Arcata Community and Jacoby Creek forests as a “Model Forest,” the guild's top designation for excellent forestry in the United States. Arcata's forests are now one of 20 in the country, which share the title, including Pioneer Forest in Missouri, Tree Shepherd Woods in Washington state, and Baxter State Park's Scientific Forest Management Area in Maine among other Forest Guild Model Forests across the United States. ROAD MAP Directions: Located on the east side of the City of Arcata. From Hwy 101 heading north, (Arcata) exit 14th St. Make a right at the stop sign (East) follow road to Redwood Park Accessible from Redwood Park located at the east ends of 11th and 14th Sts. Southern side from Fickle Hill Road: which begins at the east end of 11th and 7th Streets at Bayside Road; East end of California Street which connects with L.K. Wood Blvd. north of Humboldt State University.